The World Pancreatic Cancer Coalition (WPCC), a global alliance in the fight against pancreatic cancer, will convene for its second meeting in Montreal from today, May 2nd to 4th May. More than 40 pancreatic cancer organizations representing 20 countries are expected to attend. 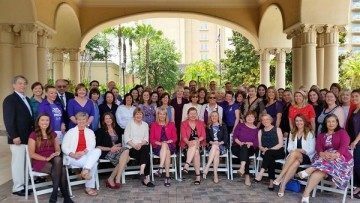 The coalition unites over 60 pancreatic cancer organizations and advocacy groups from around the world who collborate for the collective good of all people affected by pancreatic cancer. Pancreatic cancer is the seventh most common cause of cancer-related death in men and women combined worldwide. Only two to 10 percent of those diagnosed survive five years. The two-day meeting allows representatives to share fundraising, media outreach and advocacy best practices, while hearing the latest updates from members of the scientific community, as well as pancreatic cancer survivors. The World Pancreatic Cancer Coalition oversees World Pancreatic Cancer Day (WPCD), chaired by Pancreatic Cancer Action’s CEO, Ali Stunt, which is observed around the globe each November during pancreatic cancer awareness month. World Pancreatic Cancer Day aims to raise critical global awareness of the disease, because with more research funding and more people taking action, pancreatic cancer survival rates can and will, improve. This year, WPCD will be held on Thursday, November 16. The World Pancreatic Cancer Coalition has the generous support of founding sponsor Celgene Corporation, as well as corporate sponsors Shire and Halozyme, Inc.